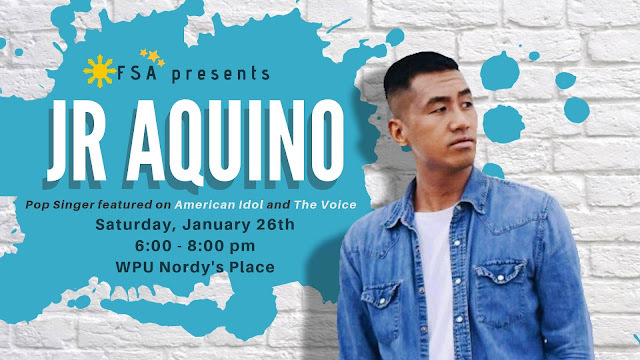 PennsylvAsia: Singer JR Aquino at Pitt, January 26. Pitt's Filipino Student Association will host singer JR Aquino on January 26. FSA proudly welcomes JR Aquino: talented pop singer who appeared on American Idol and the Voice! The show starts at 6:00 in Nordy's Place in the lower level of the William Pitt Union (map). Tickets are available online.